Adapting to value-based service model, managing the economic dynamics of local markets, sustaining market share, health reforms, increased cost and lower reimbursements are the major challenges faced by healthcare providers and payers. OdiTek has ample knowledge and experience in providing healthcare testing services wiith in-depth understanding of the domain specific regulations in the healthcare industry and technical acumen across multiple software platforms to offer independent third-party QA & Testing services. The utility of software in healthcare delivery in hinged on its quality and predictability. This is where QA & Testing of healthcare applications takes a very high precedence. 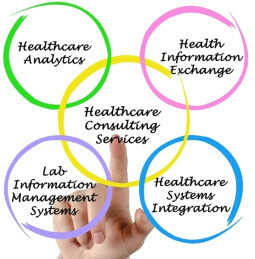 While offering our expert services, we also adhere to all the required regulatory mandate compliance standards like HL7, HIPAA and ICD-10 and government policies and the complexity of these challenges have made healthcare organizations find ways to lower cost and improve RHealthcare Application Testing Services. Our skilled quality executives in healthcare application testing, validate your IT systems, identify the scope for improvements and provide consultations to significantly enhance quality. Backed by our strong expertise, we can regressively perform healthcare application testing across multiple platforms manually as well as using automation tools (e.g.QTP, Selenium, Appium & Robotium).